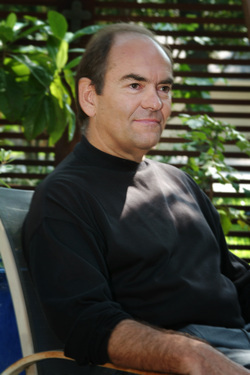 Mark W. Canada has been a successful award winning architect in Central Texas for more than 30 years, founding Canada + Associates Architecture in 1984. More recently, Mark travels and paints while setting up galleries thus far in the United States mainland, Hawaii and Mexico. 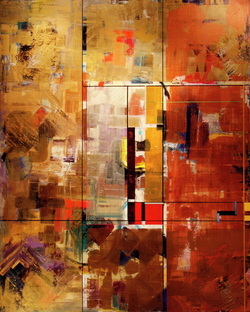 Mark's decision to develop his talents as a painter came from a desire to enhance, expand and compliment the more methodical architectural skills with the creative impulse- an impulse that is freed from the engineering, economic and utilitarian requirements of the practice of architecture. "The qualities of composition, illusion, allusion, texture, scale, balance, light, color, rhythm and perspective- all part of the architectural design process- find dynamic new expression when the medium is paint applied to canvas." "I believe passionately that more people should endeavor to live with original art in their home and office built - environment. I possess the belief that abstract expressionist art creates a mood and relationship with the viewer that is unique for each individual and that is much more intense, complex and intimate than that which is possible with figurative traditional art. Painting while traveling allows me to experience and react to many diverse environments and cultures while I express myself creatively with paint. Each environment coaxes from me a different artistic expression and renders an eclectic and vernacular painting solution." Austin ~ Santa Fe ~ Puerto Vallarta ~ Atlanta ~ Washington DC ~ Hilo + Kona, HI.